Speedy II with front and rear suspension, Central Motor, Shimano gears, LCD with 5 lever, Battery 11 Ah, for over 60 Km of autonomy. 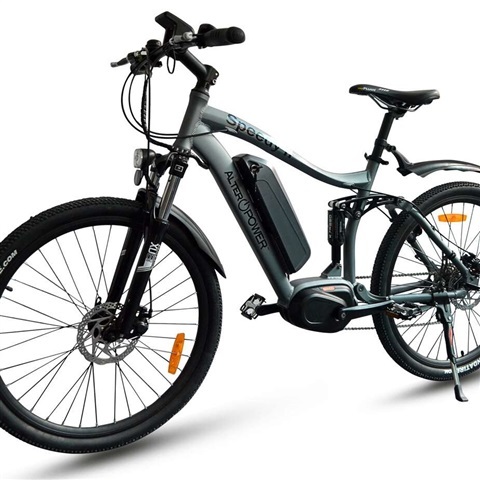 Our Speedy Serie is our most complete and versatil eBike, as it can be use in the city, in the road or at the mountains. It is stylish and count with Torque sensor to start the engine inmediately staring peddaling.